How much do you really know about men’s dress shoes? Even if you wear business attire daily, there’s a good chance that you could learn a few new things about your footwear. With this guide, you will never wonder what sort of dress shoe would be right for the occasion. Let’s start with the basics and go on to tips that will help you ensure that you always have the perfect pair of shoes for any dressy occasion. Dress shoes for men come in more types than many people realize. While you are sure to be familiar with some of these examples, others will be new. That means you may want to add more types to your collection. Considered one of the most classic types of dress shoes for men, Oxfords sport a series of eyelets that are attached under the vamp. This is sometimes referred to as a closed lacing style. The lining is typically padded slightly to ensure comfort, since they are designed to work with all sorts of business attire. If you want something that’s basic and relatively free of ornamentation, the topline of these shoes will work well with slacks and a sport jacket. They are also the shoes to wear with suits on a day to day basis when you want to look professional but not too formal. Brogues and wingtips are more ornamental than their Oxford counterparts. The heel is usually low and the tongue is usually not visible under the topline. What you will find is perforations that provide a subtle decorative touch. While these also work well for the office, they are also good choices when attending a dinner that calls for business attire. They also work well if you are invited to an occasion that calls for business dress but not formal wear. You could even be the groom or a member of the groom’s party and they would make ideal men’s wedding shoes assuming the dress code does not call for formal wear. When in doubt, a nice pair of black brogues or wingtips will take you just about anywhere. Considered one of the most comfortable dress shoes for men, the Derby has what’s known as an open lacing style. This means the eyelets are sewn on the top of the vamp rather than being hidden. Sometimes called Gibsons, this design is great for a business casual setting. It’s also one of the dress shoe types that happens to work well with a pair of jeans. Monk straps are dress up shoes for men that slip on rather than lace. They come in single and double strap designs, making it easier to go with a more conservative look or one that’s slightly more visually interesting. Like many types of dress shoes, the heel is lower and the cushioning is just enough to ease the stress of walking on harder surfaces like exhibit floors. Dress boots provide a simple and quick solution for men on the go. The boots are usually made of leather and may slip on or have a zipper on the side to make it easier to slide the boot on the foot. Most boots of this type will extend a few inches above the ankle and tend to taper inward slightly. This helps to prevent the boot from interfering with the straight line of the slacks or pants. As with other types of dress up shoes for men, the boots may or may not sport welt stitching. If possible, do find a boot that includes the stitching; this will make it easier to have the sole replaced and get more years of use from the boot. Chelsea boots are typically ankle-height and include some type of elastic on one or both sides. This makes them easy to slip on and off. Like some types of dressy footwear, the boots can be worn with business attire or they will work well with jeans. You can think of them as a perfect pair of party shoes for men’s use if you go on a business trip. They’re fine for wearing to meetings and presentations, and will work equally well when the work day is over and you want something comfortable to wear out on the town. Along with leather types, you can also find suede uses for the outsole of this kind of boot. The name of this shoe comes from the fact that a single piece of leather is used for the upper rather than several pieces that are stitched together. The style also uses a closed lacing look that makes it look a bit like an Oxford. In fact, wholecuts are sometimes referred to as a variation of the Oxford. Expect wholecuts to come with heel designs that are similar to those found with Oxfords or wingtips. The toe box is usually ample, giving the design a little more comfort for men who have wider feet. You’ll find these are ideal for dressier occasions that call for a suit rather than a tuxedo. Moccasins are often made of softer leather and definitely sport a more casual look. Rather than having a separate heel, the sole is turned upward on all sides and sewn directly to an upper. The moccasin may be free of any type of ornamentation or it may include a single lace that can be used to adjust the fit of the upper. A dressier design works well in a more casual office setting and they definitely work well if you are planning on driving for a long road trip. Along with wear around the office or while driving, this is a great solution when you want to match a pair of jeans and dress shoes. When you need something for a formal event, opera pumps are the way to go. These shoes usually include some type of silk bow across the vamp for a touch of subtle ornamentation. The materials of choice are usually black patent leather, although calfskin may be used by some manufacturers. Think of this as your go-to shoe if you are in a wedding party for a formal ceremony or need prom shoes mens that work well with a suit of tails or a tuxedo. Remember that you want to examine the quality of the material for any pair of dress shoes. Pay close attention to the facing, the type of support that the quarter provides for the sides and heel, and how the shank/waist connects the sole to the heel. Your goal is to invest in shoes that hold up well and provide years of service. How Much Does a Good Pair of Dress Shoes Cost? They key here is to focus on good dress shoes. You can easily pick up a pair of discount shoes from all sorts of retailers that cost less than $30.00 USD. The problem is that while they may look good at first, the materials are not up to par. After a short time, the shoes will shoe a lot of wear. That means you will have to replace them sooner rather than later. If you want to find a pair of men’s dress shoes that wear well and provide adequate support, expect to spend an average cost for men’s dress shoes of somewhere between $100.00 USD to $400.00 USD. It may be possible to pay a little less if you come across a sale. You can determine if the shoe is worth the money if it has the following qualities. Quality Materials – Never settle for materials that squeak or are obviously made from second or third quality leather. Beware of shoes made totally from synthetic materials. Know what grade of leather is used and always choose first quality only. Comfort – What’s the point of paying good money for shoes if they hurt the feet? You want something that’s snug enough to remain in place but not so tight that there’s no room for the toes. Always find out what’s used for the cushioning, especially if you are on your feet a lot. Style – If your office has a dress code, go with a design that complies. If in doubt, check out what your coworkers are wearing. They will tell you how conservative or how relaxed the design can be and still fit in with the code. How much should men spend on dress shoes? Try to keep within your means while investing in footwear that will hold up well for a few years. Perhaps the best men’s dress shoes under $350.00 fit nicely into your budget. It not, the best men’s dress shoes under $200.00 will still provide quite a few options. Remember that if you wear dress shoes daily, having at least two pair to rotate is a good idea. Three would work even better. Do you have questions about dress shoes? Don’t feel alone. Even men who’ve worn one type for years often want to know more about how to select shoes for different occasions. Here are a few of the more frequently asked questions along with the answers. 1. Which type of shoes are best for suits? Many experts will tell you that wingtips work best with business suits. You can get by with a nice pair of Rockport Men’s Northfield Oxfords or Clarks Men’s Tilden Walk Oxfords, especially if you tend to wear sport jackets and slacks some days and suits on others. Go with black or brown, depending on the color of the suit. 2. How many pairs of shoes should a guy own? When it comes to dress shoes, four pair is not too many. This is especially true if you wear dress shoes to work five days a week. Three of those pair should be rotated from day to day. The fourth pair should be formal footwear that you can use when it’s time to break out the tux. A good choice for the office is Clarks Men’s Tilden Cap Oxford Shoes. For the formal occasions, remember that a simpler design is often a more elegant choice. 3. What shoes are in style for guys? Wingtips and Oxfords never go out of style. You can wear them during any season and look well-dressed. Dress boots of different designs are popular but may or may not work well in some business settings. If you want to split the difference and have the right shoes to take you to most dressy occasions, a couple pairs of Rockport Men’s Sharp and Ready Colben Oxford shoes will serve you well. 4. What are the most durable shoes? Durability has to do with the choice of materials and the quality of the stitching and other similar elements. Stick with a brand that’s known for producing higher quality dress shoes for men. You’ll find that a choice like Cole Haan Men’s Original Grand Shortwing Oxford Shoes provides everything you want in comfort, style, durability, and support. 5. What are the most comfortable men’s dress shoes? Never underestimate the importance of comfort, especially on the job. Going with ECCO Men’s Jeremy Hybrid Tie Oxford provides the look you want with the comfort and support that you need to get through the day. Remember that these tips for purchasing men’s dress shoes is only the beginning. You are the one who ultimately decides if a pair of shoes has the right look, feels good on your foot, and provides the support that you need. Feel free to try several brands and see what you think. In time, you’ll know which styles work best for you and happen to include all the other benefits that you desire. Price – Use it as an indicator to filter out shoes made using cheap materials. Do not assume a higher price tag automatically translates to quality. Pay close attention to how the stitching is done, the welting, and other features. If anything seems to be not quite right, keep looking. How much thought do you put into selecting the right footwear? While many people consider factors like style, price, and fit, what about making choices that are good for the health of your feet? Even if you aren’t looking for a pair of shoes for problem feet, the right approach to buying footwear decreases the odds of developing certain types of foot complaints. Here are some of the things you should take into consideration every time you buy a new pair of shoes. Some experts will tell you that natural materials for footwear is always the best approach. It’s true that opting for natural over synthetic materials is more likely to help you avoid a number of quality issues as well as provide a better fit. The thing to keep in mind that natural materials are not always the best quality and they may offer fewer benefits than you realize. Before assuming that pair of ballet flats like Josef Seibel Pippa made with natural material is superior to the pair made using mainly synthetic materials, look a little closer. Which set provides the flexibility that you need? Is there enough give in the toe and the heel to ensure they are comfortable? Is the quality of the natural material so low that it could actually be bad for your feet? if so, the synthetic may be the right choice in this one instance. The bottom line is make no assumptions when it comes to materials. Consider type and quality carefully. Doing so will make it easier to choose something that is good for your feet, even if it means passing on both options and seeking out a third pair. You think that you know your shoe size. What you may not realize is that it can change over time. It’s not unusual for people to move from the need for a medium fit to a wide fit as they age. There may also be a slight disparity between the size of the right foot and the left one. What does this have to do with choosing the healthiest shoes? It means you should have your feet measured each time you need to purchase a new pair. The time may have arrived to go with a roomier fit, or you may need to buy the pair based on the measurements of one foot instead of both. If your right foot is slightly larger, choose a pair that will fit it perfectly. When you do go to buy a new pair, don’t forget to consider the type of sock or hose you will wear with those shoes. Doing so makes it all the easier to ensure there’s enough room. If possible, wear a pair of socks that are just like the ones you will typically wear along with the new shoes. Doing so makes it all the easier to select the ideal size. While all feet look much like the same, there are differences. Your goal is to know the difference between the best and worst shoes for your foot shape. If your big toe is longer than the others, that needs to be taken into consideration. Toes that are almost the same length require a different approach to evaluating the toe box. Heels that are more square than rounded also need certain types of shoe features. The point of taking the shape of your feet into consideration is to ensure the new footwear fits properly and provides all the benefits that you need. You’ll find it easier to wear the shoes all day long if necessary and there is less potential for cramps and soreness to develop. 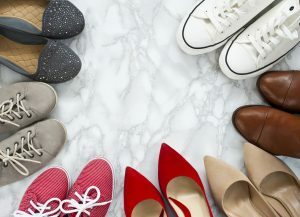 On the note of avoiding cramps or aching feet, it pays to remember that shoes with the right fit do more than reduce the risk of different foot issues. They can also ease stress on the ankles and the lower legs. The right pair of flexible shoes can even have an impact on whether you end the day with pain in your lower back or feel perfectly comfortable. Something that you may not know is that shoes also affect your posture. A proper fit and support make it all the easier to stand tall and not slouch. When you find shoes good for your feet and posture, don’t pass them by. They will more than pay for themselves over time in terms of preventing pain and helping you feel better in general. Cushioning does a lot for the feet even if you don’t have a particular complaint. That’s because the right type of cushioning helps to absorb the shock that occurs every time you take a step on a hard surface. Assuming the cushioning is made with some of the better materials on the market, it will be easier for air to circulate around the feet. Air circulation is important in terms of preventing the feet from getting too hot or allowing the skin to become too dry. Depending on what type of foot problem you are dealing with, that cushioning can also prevent a lot of discomfort. Shoes good for feet with problems have just enough give and take to feel comfortable while also providing plenty of comfort. Your podiatrist can recommend the best types of cushioning to look for when it’s time to buy a new pair of shoes. Even with all the options on the market today, there are likely some shoe designs that are not right for your feet. Not everyone can wear pointed-toe shoes; the shape of your feet or some type of health issue may mean that you would do well to stick with rounded or square-toe footwear instead. In like manner, you may need to focus your attention on styles that have more cushioning than others. Even factors like the materials used may need to be considered carefully before you buy any new pair of shoes. Before you assume that any type of foot condition means you can only wear the most basic designs or settle for something that resembles a concrete block rather than a shoe, think again. There are many different style options on the market today that work well for people with specific foot problems. Some of them are quite attractive. Whether you have a foot condition or would simply like to avoid developing one, making sure there’s a little extra room in the toe box is a good strategy. It doesn’t have to be much; all you need is enough for your toes to not feel cramped. You can use your index finger to get an idea of exactly where your toes fit in that great pair of sneakers you are considering. If they fill the entire toe box, you need to try something with a little more length and width. In the long run, you’ll enjoy wearing those shoes a lot more. When people think of choosing high heels, they are more likely to consider factors like where they will wear the shoes and if the heel height is in line with how tall or short they happen to be. Those are important things to remember, but don’t overlook the fact that a higher heel does place more stress on the ankles and the lower legs. They can also place some additional stress on the toes. If you already have one foot condition to manage, do you really want to add another one? Consider how shoes with a lower heel would work. Whether for fun or something for the office, you may find that the lower heel is still flattering and does not pave the way for new foot problems to develop. Everyone likes to be comfortable during the summer. The thing it that flip flops are not necessarily the best choice, especially if you have a foot issue. You may need more support than these simple and fun footwear options can provide. If so, think about getting a comfortable pair of sandals, like Mephisto Helen shoes. The sandals are more likely to have an insole that conforms to your feet properly. The straps that support the heels and possibly the ankles will certainly ease stress on the feet. You’ll find that the straps over the instep are sufficient to keep the sandals from slipping. All in all, you get the comfort of flip flops plus some other qualities that only come with a pair of sandals. When it comes to finding the best shoes for foot problems, remember that shoes designed to help with one issue may or may not work well for a different one. For example, shoes designed for diabetics who are beginning to experience some neuropathy in the feet need something that helps to promote blood circulation. By contrast, people with other types of issues may need a nice pair of orthopedic shoes. Don’t pay attention to anyone who says they have a shoe that’s right for all types of foot problems. You are better off finding someone who has shoes designed specifically for your condition. Your feet are intended to serve you well for a lifetime. Take proper care of them by investing in shoes and Finn Comfort insoles that protect and provide additional support if you do have some type of ongoing problem. In the long run, your feet will feel better, controlling your condition will be easier, and your days will certainly be more pleasant. Could you use a new pair of shoes? Maybe one of the men in your life is in need of a great pair of shoes for men. Before you head out to look for something, it pays to learn a little about what goes into choosing the right pair of men’s footwear. Here are some tips on how to choose mens shoes that will make all the difference. What shoes should every man own? Every man needs shoes that are appropriate for his workplace, have a look at this pair of Blundstone rustic black shoes. That may mean having a couple pair of dress shoes or it could mean more casual shoes. There should also be shoes that are fine for casual wear during warmer weather. Footwear that’s ideal for working out is also something else that should be in every man’s closet. You also want sandals for the summer as well as a pair of boots with a reasonable amount of lining for wear in the winter. Colours are another factor to consider. In most cases, the venue where you will wear the shoes and how you dress for the occasion will make it easier to select the colours and hues. Remember that while you may select from a wider range of colours for more casual settings, the ap-propriate options for a business setting are likely to involve only a few choices. With more casual shoes, you can have more fun. Go darker with Blundstone 500 shoes or lighter with the shoe colour if you are wearing jeans. The same is true with walking shorts. If you prefer to wear sandals or some sort of shoe while walking along the beach or the lakeside, it’s fine to wear a lighter and contrasting colour with your swimsuit. After you settle on the purpose, the potential colours, and the sizing for your new men’s foot-wear, spend a little time investigating a brand that you’ve never tried before. Start with Finn Comfort insoles. Read reviews to get an idea of what other consumers think. Check out the materials used for the shoes and get an idea of how they are sized. Durable shoes also mean that they hold their appearance for more years. Assuming you take proper care of them, they will show few signs of wear even after they’ve been in use for a cou-ple of years. That’s certainly a better use of your hard-earned money. If you don’t like shopping in general, try shopping for shoes online. Look for your favourite brands since you already know how they fit. You’re likely to find more options for men’s dress shoe colors online, which makes it all the easier to find something that works with your present wardrobe. You can also shop while relaxing in your favourite chair, something that makes shop-ping a little easier. Strappy Sandals – Granted, strappy sandals have been in existence for quite some time. However, a much sleeker look is taking over now. Think along the line of super-thin straps that feature minimalist designs. The modern sandals, namely Josef Seibel Tonga 25 will instantly bump up even the simplest pair of jeans. Because the international commerce industry has been exponentially growing, huge volumes of Josef Seibel Fiona shoes are now being sold via the online channel. When putting together an outfit for any type of formal, business, or semi-formal occasion, never overlook the importance of selecting the right shoes for women. The truth is that the right footwear will make a suitable outfit into one that’s truly outstanding. At the same time, you want more than looks. They also need to be comfortable. If you are asking “how do I choose comfortable shoes?” or “how do I find the right combination of comfort and style?” keep reading. These factors will ensure you make the right choice. You have a special event coming up and nothing in your current collection is quite right. You are making some changes in your personal style and want to experiment with a different shoe design. Some of your older pairs have seen better days and need to be replaced. There’s no special reason; you just want a new pair of fashion shoes. Once you identify the motivation, it’s easier to determine if there is anything in particular that must be considered as you look at different styles. In fact, using some sort of women’s shoe style guide that’s related to the kind of fashion footwear you have in mind will prove invaluable. When do plan on wearing that new pair of shoes? The time of year will make a difference in terms of the style that you select. What works just fine for summer, like Pikolinos Vallarta is not necessarily a good choice for the winter. Perhaps the plan is to focus on shoes for women that you can wear during most of the year. That means finding something that’s appropriate for the spring, summer, and autumn. The good news is there are a number of fashionable styles that will easily carry you through each of those seasons. They will look great and also feel wonderful on your feet. Even if you are looking for something to be worn during a particular season, it won’t be difficult. There are a number of designs that are crafted with specific types of weather in mind. The range of materials will also vary based on when you plan on wearing the shoes. Don’t overlook the importance of your personal sense of style when it comes to selecting shoes for women. Ideally, your choice of footwear must provide a unified look with the rest of the outfit. That doesn’t necessarily mean they have to be the same colour, although that is one possibility. The more important factor is that they match the function and design of the attire that you choose for the day. For example, you have a certain style of clothing you wear to work. The footwear that you select should work well with those outfits. This means if you work in an office with a conservative dress code, your footwear should be relatively free or ornamentation and appear to be a natural extension of the jacket, slacks, or dress that you choose to wear that day. When the plan is to buy a pair of shoes for wearing to events that call for dressing up a bit, think about what will go with the more formal outfits you already own. Something that works with two or more of those outfits will certainly make it easy to take advantage of last-minute invitations to the opera, a new club opening, or some other occasion that calls for something other than casual clothing. Through it all, draw on elements from your wardrobe to determine the best style for those new shoes. Doing so will ensure they are in line with your personal style and most likely end up being a versatile addition that you will enjoy. Do you think a lot about texture when it comes to selecting women’s shoes? In fact, it can be important in terms of creating the look that you want to project. Consider how the texture of the material used for the footwear can make a difference. Maybe you want something that’s shiny and sleek. That certainly works well if you need footwear that’s right for a formal event. When the plan is to buy fashion shoes that you can wear to work, some type of leather that has a more discreet gloss would work better. In some cases, you may find that a nice pair of shoes made with a suede-like texture would work just fine. This is especially true if you plan on wearing something to work that’s made of wool rather than some type of blended fiber. Texture can also help pull together what might seem to be disparate elements of the outfit. For example, the fact that the shoes are made of the same materials as your belt and perhaps the jacket gives the impression that you purchased all the pieces at one time. Even if the colours are not the same, the fact that the texture is identical helps to create the unified look that you seek. The Colour – Up to the Minute or Timeless? There’s another thing to consider about the colour of your new footwear. Without a doubt, there are certain colours that dominate the world of women’s dress shoes each season. Some of them are favourites that seamlessly remain popular from one season to the next. Others may be just fine for one season and then fade into obscurity. You have a question to ask yourself before entering any women’s shoe stores in search of new footwear, especially Blundstone 585 pair of shoes. Are you out to buy something that’s currently popular and may or may not remain so after the current season? Is the plan to invest in shoes that will work just as well this time next year and the year after that? There are no wrong answers to these two questions. It’s perfectly fine to buy a pair of shoes in a colour that’s currently all the rage but will fall out of favour after a time. For now, they allow you to add a contemporary touch to some of your outfits. This is especially true if you purchase a few accessories that capture the same colour and texture. It also makes sense to invest in footwear with a timeless look. Like the little black dress that most women have on hand and can easily dress up or down as the occasion requires, footwear that is considered classic is always a good buy. The right choice will allow you to always be ready to dress for any type of business or formal setting on a moment’s notice. If you have what’s considered a balanced body – meaning your torso and legs are somewhat slim in and proportion – you do want to pay attention to the heel height. Higher heels will only accentuate the length of the legs and make you appear to be out of proportion. A lower heel would work best. A combination of a longer torso and shorter legs mean looking for shoe designs that visually add length. You’ll find that higher heels and thicker soles will help create the illusion that you seek. A matching colour for the shoes, your hose and the hem of your dress or skirt also help to make the legs look longer. If you have a shorter torso and longer legs, go with low heels or flats that help to balance things out visually. Thinner soles and shoes that are in a contrasting colour to your hose will also provide a visual break and help the legs to look more in proportion to the torso. There are other tricks that can provide a more proportional look. Experiment with pointed toes versus square toe boxes, as well as thinking about open-toed versus closed toes. It won’t take long to see which design elements help you achieve the look that you desire. Speaking of the toe, never assume that any particular design is off the table. Depending on the season, the setting, your body type, and your personal sense of style, certain toe designs will work best. The good news is that just about every toe style one could imagine is found in the worlds of women fashion shoes. Along with considering whether a certain toe design helps to visually lengthen or shorten your legs, think about how they impact the impression that you want to make. For example, an open-toe shoe is beautiful, but it’s not necessarily considered the best option when attending a business function. By contrast, it works quite well at a social function like a party or a wedding reception. Higher heels make your legs look longer and to some degree slim them a bit. Lower heels are wonderful when you want to shorten the legs and call more attention to your torso. In addition to the impact on your appearance, there’s something else to consider about the heel height. Only go with a height that feels right to you. just like Rieker Mirjam has to offer. There’s no point in attempting to attend a social function wearing heels that seem determined to keep you off balance. You would do well to go with a lower heel and find it easier to float around the room, confident in your ability to move without fear of toppling over. On the other hand, you may be adept at wearing shoes with higher heels. If you are able to move freely and those heels don’t pose any issues with maintaining your balance, then by all means go with a higher heel. The goal is to not sacrifice comfort and control for the sake of appearance alone. There are enough designs for fashion shoes for women that you should be able to find the perfect compromise. Thicker soles to help to give your legs a longer appearance, but don’t forget they role they play in terms of practical function. If a thicker sole will help you move across certain types of flooring with greater ease, that’s great. When a thinner sole works just as well and you would prefer to call more attention to something other than the length of your legs, then go with the thinner design. There are all kinds of women’s shoes for formal wear featuring soles ranging from the very thin to the thick. Try each one and see what you think. Do how do you know if a shoe fits properly? The shoe is snug without pinching your toes or the heel. The width is just right in terms of hugging the feet but does not seem to bind the sides. A good fit does leave a little room in the toe box so your toes don’t feel cramped while at the same time not allowing any room for slippage at all. The shoe must feel almost like a glove on your foot. That means it’s comfortable, remains firmly in position and has enough cushioning and support for you to wear the shoes for hours. Perfect shoes for women may vary in style and colour, but the fit must always be perfect. When the fit is right, you will definitely know it. Are you ready to find your next pair of fashion shoes for women? Start by checking out the many different designs offered online. Pay close attention to the dimensions and the design features. Think about how they would work with the wardrobe you have now or the new outfit you intend to buy. Above all, make sure they are something that will broaden the horizons of your present wardrobe and make it all the easier to always be perfectly dressed for the occasion. In less time than you thought possible, you will find one or more pair that need to be part of your collection. There’s also a line known as Office Chic. While slightly more adventurous than the Classic line, it does fill a need for footwear that qualifies as dressy while still providing a little more latitude in terms of expressing a personal sense of style, Beautifeel Magnolia is a vivid example. Think of this line as including fun touches while also remaining ideal for wear in many office or business settings. If these Beautifeel shoes for women don’t turn heads, nothing will. It’s the features found in many of the designs that make them so versatile. The footwear is snug without being too tight. The cushioning and the Blundstone insoles ensure that the feet remain comfortable even if the shoes are worn most of the day. There’s plenty of support built into the design to ensure your legs don’t tire easily. Even the choice of materials ensures that your feet have reasonable air circulation while still keeping them at a comfortable temperature. Hiking is a great way to keep the body healthy. It’s also an excellent tonic for the mind. If you enjoy this sport, then you know the importance of investing in the right equipment. That includes making sure you purchase a pair of Merrell shoes or boots that protect your feet as you travel over different terrain. Here are some tips that will help you get the most from the hike and remain safe at the same time. When you need footwear that’s appropriate for hiking or walking, it pays to look closely at the construction. Specifically, check to determine what sort of traction the footwear will provide. Whether you are making your way across a slippery surface or traveling up a rocky incline, your footwear needs to provide a reasonable amount of grip. Without it, you could find yourself taking more than one fall. One of the nice things about all types of Merrell shoes is the traction they provide. It’s easier to move across ice, loose rocks, and any other terrain one can imagine without landing on something other than your feet. With the right Merrell boots or shoes at hand, you protect more than your feet; you also reduce the possibility of damaging other parts of the body in a fall. Have you ever gone for a long walk and found blisters on the heels or a big toe once you came home? You didn’t have the right type of footwear for walking. Instead, you chose shoes that didn’t fit properly and rubbed against the heels and the toes for most of your walk. That’s not the way things have to be. If you choose a pair of Merrell sandals with the right type of heel grip and a reasonable amount of support for the toes, there is no rubbing as you walk. Instead, you have plenty of support and comfort. You won’t have to reach for ointment and bandages when you get home because your feet will be just fine. There are all sorts of shoes, sandals, and boots to be found at a Merrell store. Whether you are walking, going on a weekend hike, or maybe including some rock climbing in your outdoor activities, there is footwear that will keep blisters from developing. All you have to do is compare the styles offered by Merrell Canada and select something that works for you. Most of the plant life you encounter on the hike will be free of any dangers. Others could lead to rashes or allergic reactions. Avoid these issues by choosing Merrell shoes or a nice pair of Merrell boots that provide adequate protection from whatever you may find along the way. When you remove the footwear at the end of the day, there won’t be some type of itchy rash awaiting some attention. Instead, your feet will be comfortable and free of any type of irritation. Depending on where you hike, there may be wildlife that you come across unexpectedly. The result could be a nasty bite that requires immediate attention. One way to reduce the risk is to invest in boots from a Merrell store that protect your feet and ankles. While still distressing, a bite that doesn’t penetrate the boot is less distressing than one that does. Remember to save your pair of Merrell sandals for occasions when encountering wildlife is less of a possibility. Before you go hiking, make sure the right equipment is on hand. That includes shoes or boots by Merrell Canada. Between the comfort, safety, and durability, the investment will be worth every penny. Some footwear brands have rich histories that buyers overlook. That’s certainly the case with Rieker shoes. With a history reaching back to the latter part of the 19th century, this brand is known for high-quality, innovative design, and a commitment to offering customers styles they can put to good use. Here are some of the highlights of the company’s history and why it will continue to be the brand of choice for many consumers. The origins of Rieker Shoes are rooted in the city of Tuttlingen, located in the southern part of Germany. It was there that Heinrich Rieker and his business partner Carl Seltz set up an operation to create footwear for local well-to-do patrons. Initially, the name of the operation was Rieker & Seltz, so named after the two owners. Beginning in 1874, the company soon became a favorite among the more affluent citizens in the northern part of Italy. The reputation of Rieker shoes for men began to spread quickly. At first, their fame was situated in the Black Forest Region of Germany. As their customers traveled, they spread the word about this little gem that was producing some of the most exquisite footwear to be found. That’s what led to Rieker shoes for men becoming so popular in northern Italy. Between the popularity close to home and the growing market among the more prosperous families in Italy, it was only a matter of time before Rieker boots along with Rieker shoes captured more attention throughout the continent. While Riekers began with a few basic designs that were considered as tasteful as they were practical, the demand among the upper classes led to the creation of additional designs. This set the trend that would continue throughout the remainder of the company’s history. Along with Rieker shoes and Rieker boots for mean, it was only a matter of time before the product line would include Rieker shoes for women. By the turn of the century, just about everyone who was anyone recognized the name of Rieker and knew it stood for quality as well as superior styling. Soon after the business celebrated its first quarter-century of operation, changes began to take place. In 1901, Seltz decided to leave the company. With his departure, the business also got a new name of Rieker. For the next few years, the business continued to attract more customers and slowly hired more employees. At all times, the company continued to retain strict control over the materials used for their shoes. That policy is still in effect today. During this era, Riekers resisted to follow the pattern established by the competition. Expansion was slow and intentional rather than being driven by a desire to make a quick profit in a growing market. While there were those who ridiculed the owners for choosing to develop the company as a relatively slow pace, the employees that were producing the Rieker shoes for men and would eventually produce Rieker shoes for women had the peace of mind that comes from knowing their jobs were safe. Unlike many competitors who overextended themselves and eventually went out of business, Rieker shoes and Rieker boots continued to be produced at a consistent rate. This helped ensure the company was not impacted by the same financial issues that led to the demise of several competitors. This did not mean that Riekers din’t make any type of internal changes. With the demand for Rieker shoes for men growing and the potential of eventually tapping into a new market with a line of Rieker shoes for women, the owner and the management team were always looking for ways to enhance the production process. At the same time, the powers that be never lost sight of what had served the company well during its first quarter-century of operation: a firm commitment to offering quality footwear made using nothing but quality materials. Even as Riekers continued to offer footwear designs that customers had come to expect, they were experimenting with other designs behind the scenes. The experimentation included alternative designs for toe boxes, heel heights and shapes, and even some designs for Rieker shoes for mean that included Rieker shoes and Rieker boots that included different combinations of materials. Those that showed promise in terms of meeting or exceeding the quality standards set by the business eventually found their way to consumers. While it would still be some time before the line of Rieker shoes for women would come into reality and begin to rival the popularity of the line offered for men, some of these early research and development projects helped form the basis for those later designs offered to women. The next major change occurred in 1905. Heinrich Rieker passed away that year. While there was some initial concern about who would operate the business, it was soon apparent that his three sons – Karl, Ernst, and Heinrich – would take over the leadership. The three sons chose to leave much of the structure their father created in place, while also preparing for opportunities to expand the company in the years to come. Those changes included adding lines of shoes for women alongside the traditional Rieker shoes for men’s needs. By the end of the first World War, the brand Rieker Shoes was well known in many parts of Europe as well as their established stronghold in Germany and Italy. While World War II slowed production for a time, the company soon recovered and continued to expand. Part of the expansion had to do with developing new approaches to designing footwear for a wider range of activities. While there was no changes in standards of quality, the owners sought to make use of emerging technology to ensure that all the Rieker shoes and Rieker boots they offered could be made faster and meet the growing demand. This still meant retaining the high level of quality control that had built the company’s reputation over the last several decades. It also meant adapting the processes for quality to control so they would ensure nothing left the factory that was not in keeping with those high standards. This approach proved successful. Over the next four decades, the reputation of Rieker shoes for men and eventually Rieker shoes for women remained consistently favourable. Fresh designs found their place alongside more traditional ones, making it possible to appeal to a wider audience. As the decade of the 1960s came to a close, it was hard to find any person who insisted on only the best footwear who had never heard of Rieker boots or had owned at least one pair of Riekers footwear. By 1969, it was obvious that the company was growing so much that a new organizational approach was needed. The decision was made to split the operation into three divisions. One would focus on the core shoe styles, while a different one would produce shoes for children. A third division devoted attention to sporting footwear, including ski boots. Over the next several years, Rieker Shoes outlets began to appear in choice locations across Europe, making it even easier for customers to discover the brand. For the remainder of the 20th century, Riekers would continue to reach out and build a reputation in more nations. This meant building additional production facilities as well as establishing outlets for Rieker shoes and Rieker boots in select locations. The actual number of outlets owned or franchised by the company remained small in comparison to competing companies. Just as slow controlled growth had served the company well in decades past, it continued to help the business incrementally expand without running the risk of overextending its resources. Part of the growth came from reaching out to establish a presence on both sides of the Atlantic. The first efforts to expand into North America came in 1955, with a modest introduction into the footwear market in Canada. From the 1970s on, that effort became more aggressive. This eventually led to the establishment of a corporate satellite office and a distribution centre in Concord, Ontario. From there, it was possible to more efficiently meet the need for Rieker shoes for men and Rieker shoes for women that were created with a Canadian audience in mind. 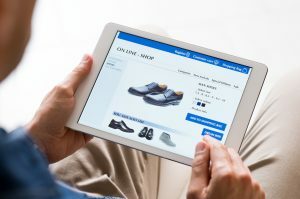 The development of online commerce in the 1990s and beyond provided a new way for Riekers to establish connections with consumers in a wider range of nations. People who may have only heard of Rieker shoes or Rieker boots because they had traveled to Europe or Canada now had the ability to order from properly licensed online retailers. This continues to be one of the most lucrative revenue sources for the business. North America has not been the only part of the globe to learn the name of Riekers over the last few decades. The company expanded into new markets in the Orient, the Middle East, and also to parts of Africa. There are also South American markets that now have access to Rieker shoes of all types. No matter where you happen to live, there’s a way to find the Rieker shoes for women or Rieker shoes for men that you want. Whatever occasion you have in mind, there’s likely to be a pair of Rieker shoes that are ideal. Today, Rieker employs over 20,000 people in three design units, 16 wholesale units, and continues to operate their own production units in North Africa, Vietnam, and parts of Eastern Europe. A network of over 9,000 retailers offer the shoes for sale, with Rieker Antistress designs remaining one of the most popular lines. From outdoor activities like hunting or camping to casual wear, the product line offered by Riekers, like Rieker Mirjam or or blundstone 500 have never been better. Rieker shoes for working out are popular while Rieker boots for farming and ranching remain a staple of the company’s line. The diversity of the line for Rieker shoes for mean as well as Rieker shoes for women ensure there is always something worth considering. If you’ve never tried a pair of Rieker shoes, today is the right time to change that. Look online for a Rieker Shoes clearance, or visit a reputable online retailer and check out Rieker Shoes for sale. You won’t be disappointed. Summer’s here and the time is right for all sorts of warm weather activities. That calls for buying new footwear that you can use now and that will also take you into the autumn. You can’t go wrong by taking a look at the latest fashion trends from clarks shoes. Along with style and quality, you also get beautiful footwear that’s practical in several different settings. Here are a few suggestions on what to add to your wardrobe. New footwear for the workplace is always a good investment. You’ll find plenty of Clarks shoes for men and women that are ideal for the office. The Un Elott line for men is particularly popular this season. There are lace-up as well as slip-on options, so you can find something that’s sure to work well with whatever type of attire is appropriate for the office. Along with basic black, you can go with a colour that’s fine for business casual settings. Take a look at the tan for less formal settings and the varying tones of black when you need to be a little more dressy. Women will find the Calla line appealing for the workplace. The Rose Cream Pat is a versatile and classic heel with a pointe toe. The design works well with all sorts of office attire. For a more casual setting, consider something like the Maritsa Lara in olive or navy. When work’s done, you want footwear that’s comfortable and also a lot of fun. Clarks sandals are a great way to go when the weather’s warm. The Un Trek Part Tan is a sandal many men will enjoy wearing with shorts or a swimsuit if you are headed to the lake. Women will like the Un Haven Cove Tan for everything from walking along the lakeside to being comfortable while spending a Saturday spending the day at the park with friends. These and other sandal options can be found at the Clarks shoes outlet nearest you or online. You like to meet friends after work, but schedules are tight and there’s no time to change. The good thing is that there are plenty of Clarks boots and shoes you can wear at the office and still be comfortable while you enjoy dinner or drinks with your friends. Take a look at the Maypearl line for women and see what you think. The basic colours work well if your work outfits are mainly pantsuits. Men will find that the Clarkdale line works well for business casual settings and will also be great for hanging out with friends after work. The colours are basic enough to work even if your place of employment leans more toward casual attire and you tend to wear jeans during the day. While you may need something conservative for the workplace, there are times when you need to dress up but would like to wear shoes that have a little more spark. One solution this season is to invest in a pair of the Calla Lily Black Sue design. With an elegant heel paired with the ankle clasp and the open sides, you have a shoe that’s perfect for a formal evening out and will certainly please the eye. Now is a great time to check out a Clarks shoes sale and see what you can find. There’s no better way to save money and still enjoy quality footwear than to attend a Clarks shoes clearance at a local outlet or online. You’ll quickly see what Clarks has been in business for almost two centuries.